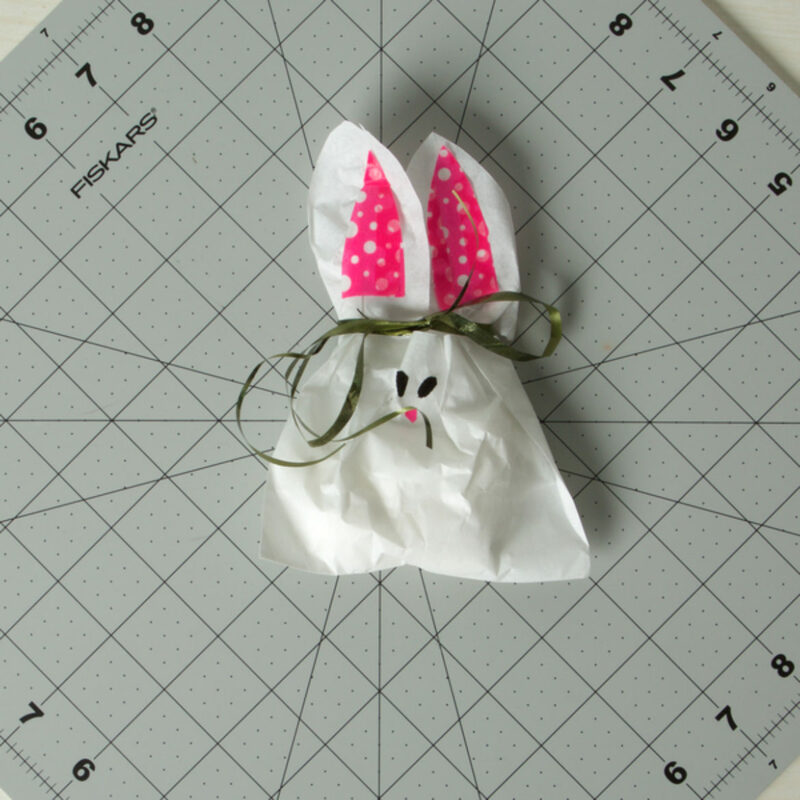 Fold the paper bag in half lengthwise and cut a bunny-ear shape in the bag. 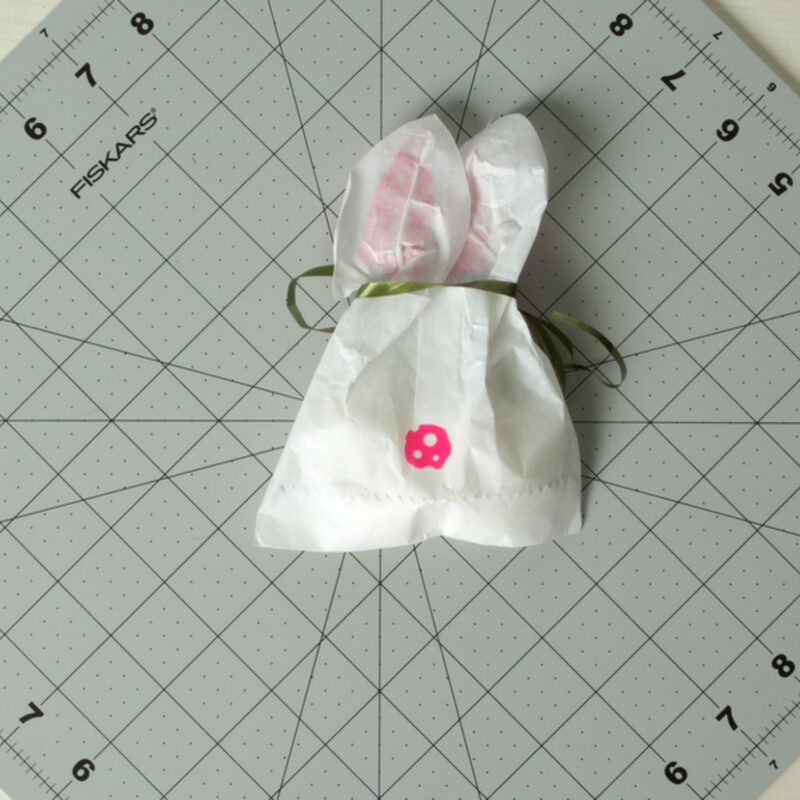 Cover a piece of wax paper with washi tape and cut out two bunny-ear shapes. 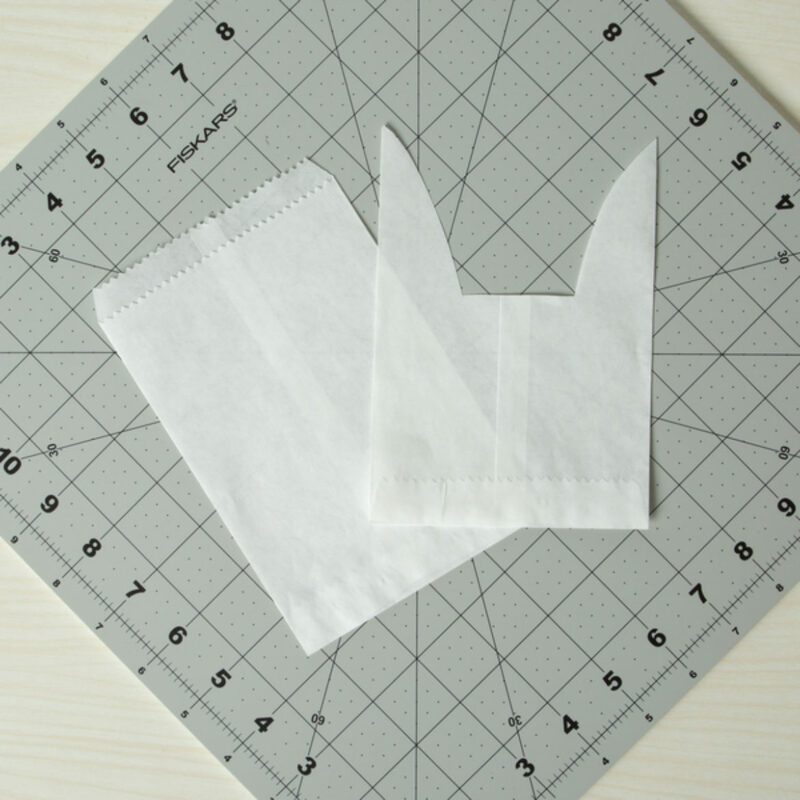 Cover a small piece of wax paper with washi tape and cut a triangle for a nose, circle for a tail. 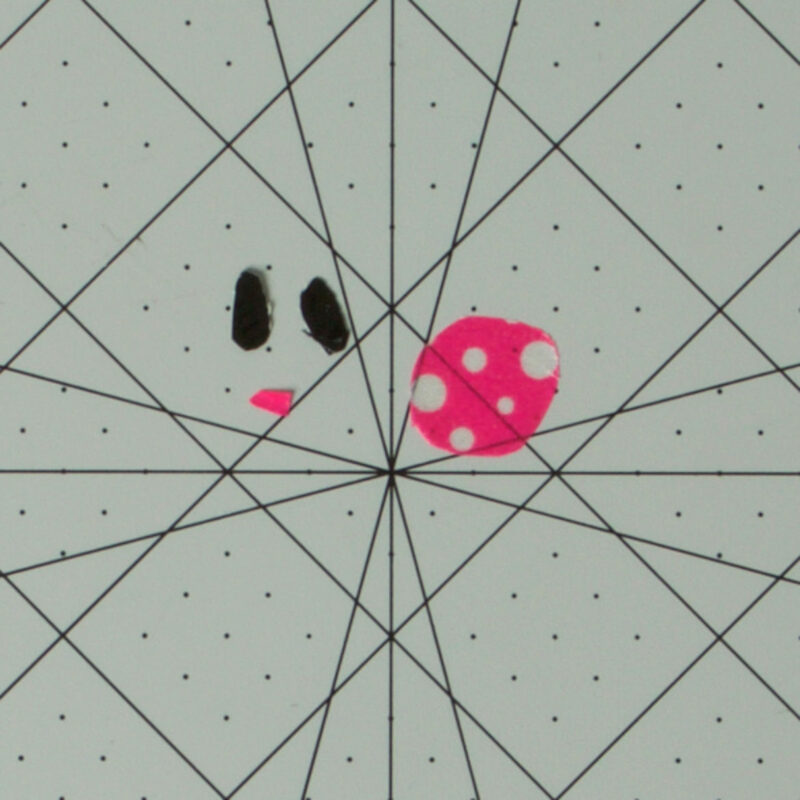 Use the black tape to cut out small circles for eyes. 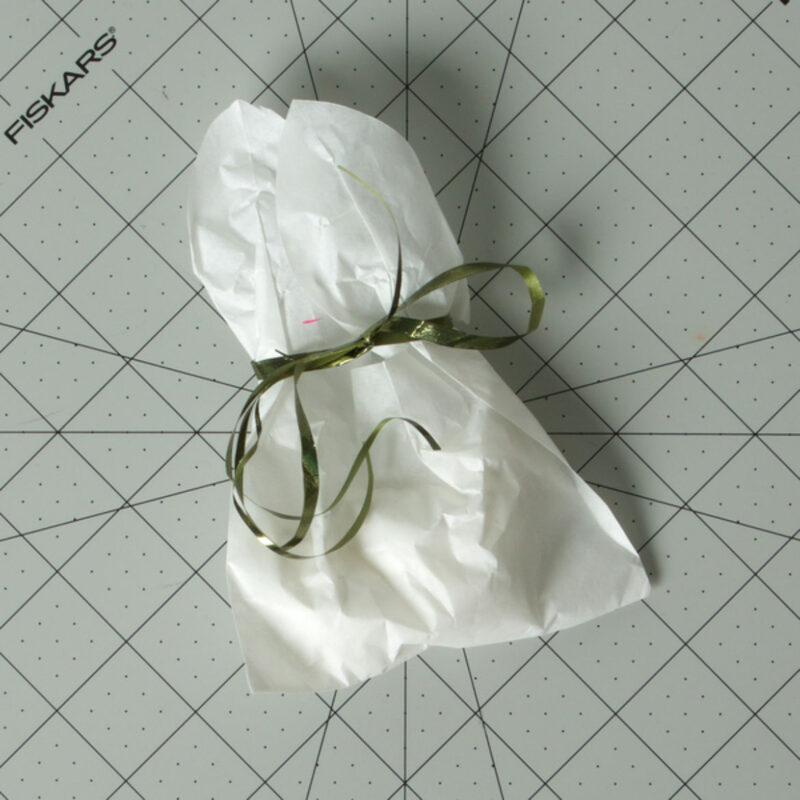 Tie ribbon around the bag where the ears are cut. 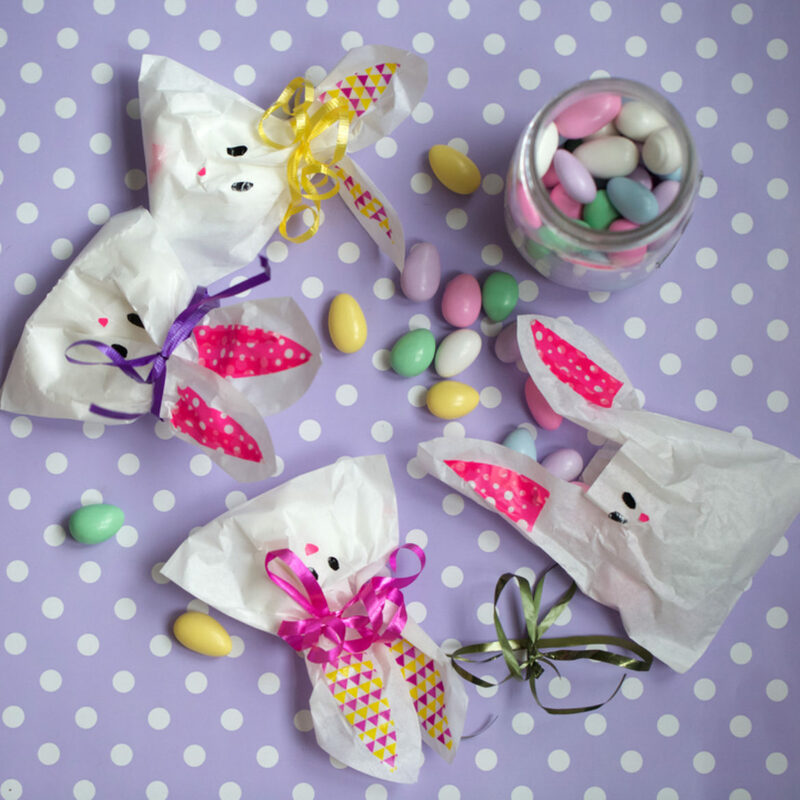 Peel the washi tape from wax paper and stick on the ears and nose. Also add on the black eyes. 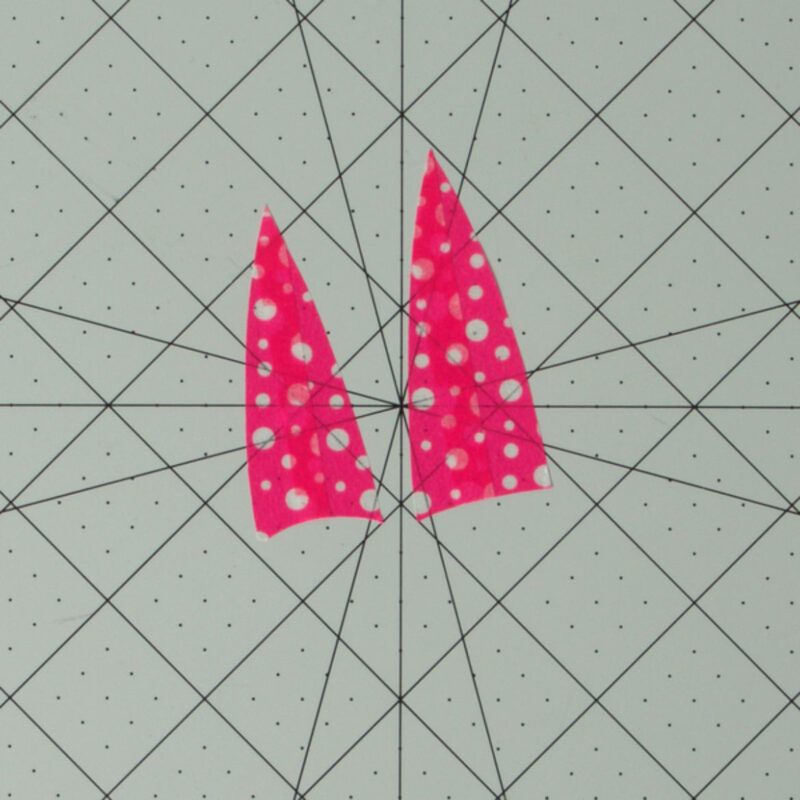 Peel the last bit of washi tape from the wax paper and stick on the tail. Don't get too lost into a book. But, if you do, use Duck Tape® to find your place in the story again.